It was on 1 May 1980 that the Lunch Club first started. That day there was only one person came in for lunch but from small beginnings it grew in strength and became a wonderful part of our church outreach that still carries on today. 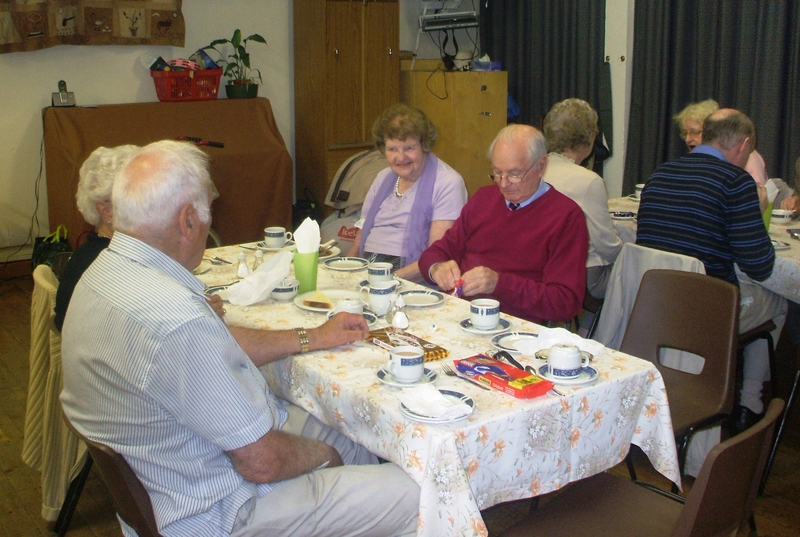 It was Evelyn, the wife of the minister at that time, Rev Ewan Nicoll, who felt that there was a need for something in the middle of the day when folks could come together and share food and fellowship. The idea was that volunteers would cook and serve those who came along and Margaret Smith and May Anderson were the first willing volunteers. 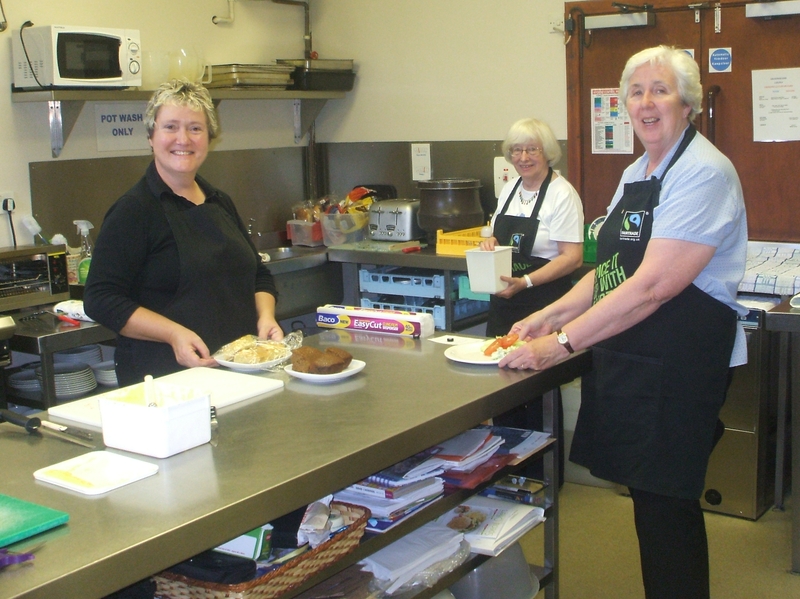 Nowadays our employed chef, Pam Pollock, who also cooks for our Doves café, prepares the food but the meal is still served by a willing band of volunteers. From the start the idea was to serve good wholesome food in the middle of the day. Folks get two courses, soup and a main or a main and dessert, plus a cup of tea. It is a fixed menu but varies week by week and it is excellent value for money. Above all the Lunch Club offers companionship and fellowship in pleasant surroundings. The Lunch Club meets every Thursday (48 weeks in the year) in the main hall from 12pm until 1pm. Don’t be put off by the name Lunch Club. It is not restricted to certain people or just church members. ALL are welcome to come along and join the regulars. In fact, the more folks we have the more everyone enjoys the time together. SO WHY NOT COME ALONG ANY THURSDAY? YOU WILL BE SURE OF A GREAT WELCOME!